This is a common gun security question whether you are in a home or office the way you store your guns, firearms and other weapons is more important than ever before. With your very own government looking for reasons to confiscate it’s important we try as hard as we can to prevent incidents which fuel anti-gun sentiment. Gun Safes are a primary solution to this ever evolving problem of where to store your guns. The big problem with instituting a Gun Safe as a solution in the cost. Gun Safes in general terms can be very expensive. When you consider taxes, logistics and shipping costs this seemingly simple gun safe equation becomes quite the challenge. Where can you find the best gun safe for the money? 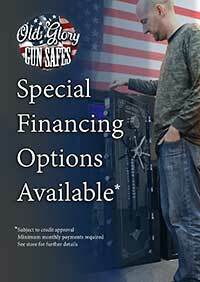 At some point you may ask yourself where can I get the best Gun Safe for the money? Theres really 4 ways you can go about it. We’ve meandered the gun safe maze for you and this what we believe you can expect to find as far as quality, materials, sizes, prices, availability, shipping and customer service in your quest for the best gun safe for the money. Used Best Gun Safe for the money sounds like a great idea. One should consider however when purchasing such a sensitive item used it’s extra special discount may come with extra special problems. Many hidden dangers persist with used safes for unknown sources. Inoperability as well as hazardous materials are just a couple things that can make a best gun safe into a worst gun safe. Sure Gun Shows are fun and great to get a hands on experience but in my experience Gun Shows are high pressure sales with secondary inventory. It’s way better from the gun safe consumers perspective to take their time making their home security choices without the BUY TODAY mentality which is common at Gun Shows. Theres another aspect about gun shows that I do not believe lineup with the ethos of security in general based on the crowd factor and the lack of anonymity when selecting sensitivity security equipment like a gun safe. You can go to the big box store and you can take a swing on one of their safes and QUICKLY come to the realization that the safes they sell are for KEEPING THE KIDS SAFE ONLY and not doing absolutely NOTHING ELSE. People should not get it into their head that the fire resistant security box imitation faux gun safes are simply diversion boxes and should only be used for that. Even if it has some residential security rating that should be your first reason to avoid it. These safes can be tapped on by anyone with a little steel knowledge and they will tell you unless you want to store some tuna fish o avoid these safes at all cost even if they have time honored licenced names you like supporting your gun security isn't worth being romantic. There are small gun safe boutiques across the nation of America who specialize in building custom gun safes from the ground up to your specifications from steel thickness, paint color and type, level of fire protection as measured in insulation thickness, Hinge Type, count and placement, door thickness, type and hang inlaid vs onlaid stepped vs flush, Locking Bolt Count, Placement and thickness, direction, operational action cam vs rack & pinion. You can imagine the sensitivity of each order and the associated costs. Without the inclusion of a professional assembly line a major problem with smaller safe companies is their error recovery and cost factors which can be detrimental. Many small safe companies go into and out of business very quickly as the hidden operational costs come to light. There are more secure options for buying a quality gun safe. When it comes to cars and diamonds and even computer equipment you want to make sure you are getting more that just what you can see. Gun Safes especially because of their sensitive nature it’s important that you have an infrastructure of aftercare in the form of a premium warranty that covers parts, Labor and shipping costs in the event you have a catastrophic operational issue that cannot be serviced in the service position or in your home. When Gun Safes have problems they are not little and being locking out of your stuff can be upsetting. This is a major factor that gun safe shoppers over look and should be an article all in itself. Whatever gun safe company you do choose make sure that they are willing to fall on the sword if anything goes seriously wrong. Buying a gun safe at a discount store is the fatal mistake imaging calling a major box store and really trying to get some help with something like “I’m locked out of the safe I bought from your location and I don’t know what to do”. Most likely you won't get anything except call the manufacturer depending how that box store purchased those safes will determine the level of service you get. Its best to go to a specialist to find the best gun safe for the money because theres a lot more to Gun Safes than one would imagine.